Art is a journey into the unknown. Whatever form an artwork may take it is always a search for something new. It is a movement from the familiar to the edges of human experience. The artist embarks on his quest with a handful of tools and ideas with only a dim hope that his efforts will not be in vain. This is the attitude with which Dione Borg approaches his paintings. With brush and paint in his hands and vivid images of a Mediterranean island in his heart; it’s light, it’s sea and it’s rocks. It’s colour and it’s texture, it’s people. Born in 1952 in Mosta, Malta, a country steeped in a rich cultural and artistic heritage, Dione’s exposure to Art was inevitable. His interest in art was evident early on in his life and at the age of 16 he started attending formal art classes at the Malta School of Art. Living in Canada for a number of years presented him with new insights and new horizons. In 1994 Dione moved back to Malta where he has been teaching art in public schools including the Malta School of Art. 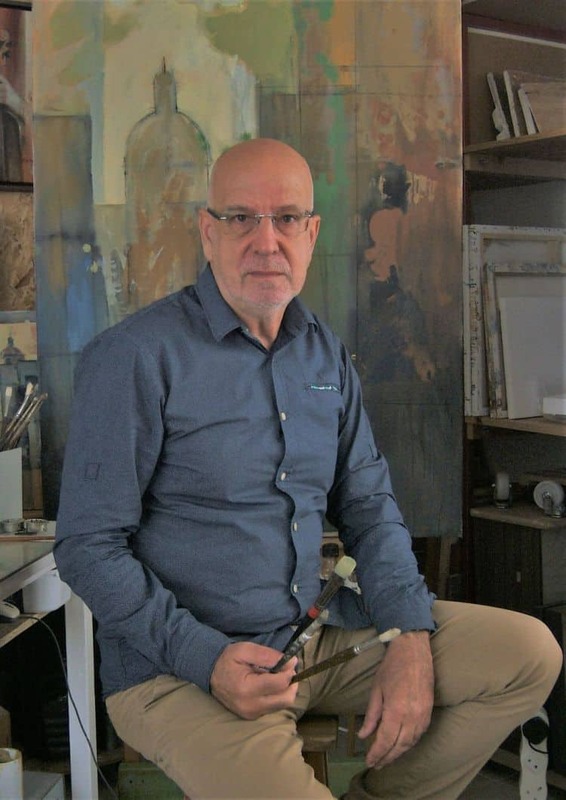 His paintings hang in private collections in Malta and abroad and he presently runs a studio in the small town of Mtarfa, perched on a cliff edge overlooking the very elements from which Dione continues to draw his inspiration.